Complete that abstract and modern look in your home by introducing the gorgeous Teak Root Rectangular Glass Dining Table Spider Stone. 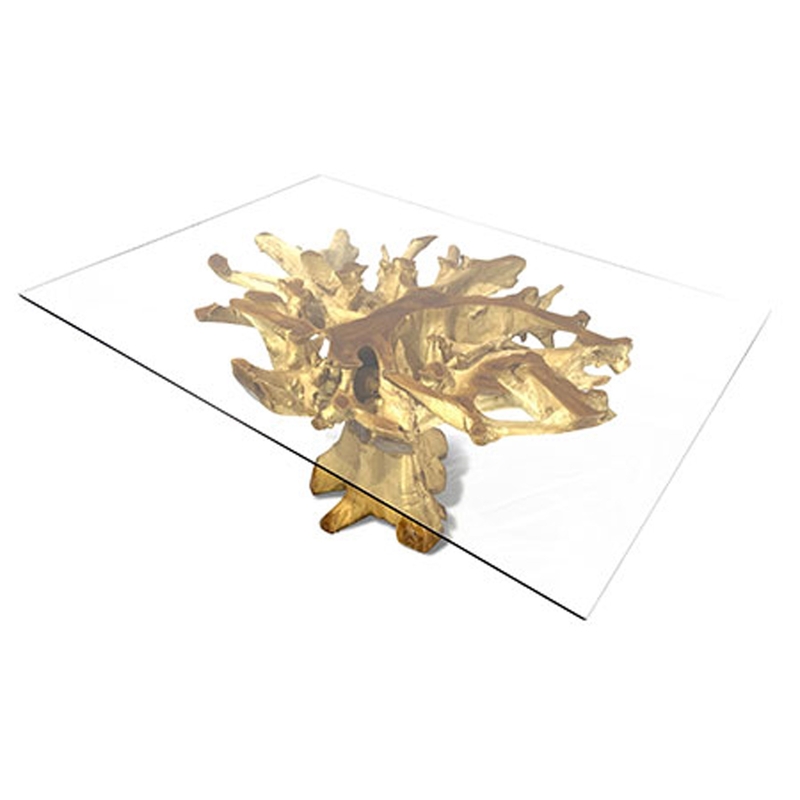 This modern table features a stunning base that's created from teak root. The base contrasts with the rectangular glass surface to create a very eye-catching and interesting piece.